How Much Should I Charge in Rent for My Dallas Property? It’s important to price your Dallas rental home correctly, and that’s not always easy. You cannot underprice the home, because that will result in less rental income for you. When you start with a price that’s too low, it will also be more difficult to make rental increases in the future that are consistent with the Dallas market. You don’t want to price it too high, either. If your property is overpriced, it will be difficult to rent it quickly to well-qualified tenants. That will mean a longer vacancy period for you, which is far more damaging to your ROI than a lower rental price. Pricing your investment home correctly requires a deep knowledge of the local Dallas rental market, and a willingness to lower the price when necessary. There are several things you can do to ensure you’re attaching the right price to the home you’re renting to attract the best tenants. Educate yourself on the Dallas rental market and how your home fits into it. Perhaps you want to earn $1,250 a month in rent because that will cover your mortgage and your expenses and provide a little maintenance savings and some monthly income. But, if homes similar to yours are renting for $1,100 per month, your price tag will leave you with a costly vacancy or an undesirable resident. It’s crucial to understand your market and your competition. Pay attention to how the market is performing, and what the rental landscape currently is. If there’s low inventory and high demand for rental homes, you can charge a little more for your property. However, when there are plenty of great homes available to tenants, you’re going to need a more competitive price. Otherwise, you’ll have a hard time convincing those tenants to pick your home over all the others. Plenty of online resources can help you understand your local market and your tenant pool. Talk to property managers, real estate agents, and investors. Pay attention to what is renting and what isn’t. The Dallas market is always shifting. When you understand this, you can do a better job of pricing your home correctly. Professional help is always valuable. Property managers are responsible for pricing and renting homes every day. They have the tools and the knowledge to help you price your home properly. Location is always significant with real estate. If your home is in a desirable school district, you’ll have an easy time drawing families with school-aged children to your home. Properties that are close to public transportation or popular commuter routes are also sought after, and can usually earn more rent than homes in more remote areas. Use your location when you’re marketing and advertising. Property size also plays a role in what you should charge. 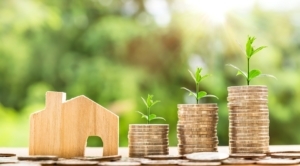 Depending on where your property is located, you’ll earn more when you have the size and the layout that tenants are seeking. Three bedroom, two bath homes with a garage and a yard command the most rent in suburban Dallas neighborhoods. Downtown apartment units with views and parking don’t have to be as big, but they do need modern appliances and updated conveniences. Property condition can be completely controlled by you. A home that’s in great condition will earn more money. If you want to attract top rents, make some improvements and updates. You don’t have to do a complete remodel. But, if you put a fresh coat of paint on the walls, clean up the landscaping, and add new lighting or flooring, you’ll make a big difference in what you can charge. Season can influence price. Families with children are less likely to move during the school year, and no one enjoys moving over the holidays. For that reason, prices might be a little higher in the early summer months and a little lower in the dead of winter. Think about this when you list your property and structure your lease terms. After you’ve evaluated your own home and what it’s worth, take a look at your competition. A professional Dallas property management company will have the tools to analyze the market and how your property fits into it. Reach out for a complimentary rental analysis, which is tremendously helpful. You’ll get a reliable price range that’s appropriate for your property. Some landlords try to do their own market analysis, and you can do that with some of the online rental sites. If you go on HotPads, Rentals.com, or Zillow, you’ll see what homes like yours are listed for. Just remember that you can’t believe everything you see on the internet. Just because a landlord is asking $1,500 for a property doesn’t mean that’s what he’ll ultimately end up getting. With a property manager, you can trust the data and use it to price your own home. Compare the prices and the properties you see to your own, and adjust your price accordingly. Maybe your home has more square feet and a better location. Those things will allow you to charge a little more. But, if the other properties have stainless steel appliances and two-car garages while you don’t, you’ll have to price your home a bit lower. You’ll know if your price is too high based on the consideration your listing gets once you’re marketing your property. When your home is on the market and you’re getting consistent phone calls and queries, and prospective tenants are asking to see the property, you’re probably in a comfortable rental range. But, if no one is calling and no one is applying after viewing the home, you might be pricing it too high. Find a way to track your marketing results. Collect data on the number of people who are contacting you, how many of those prospects are seeing the home, and whether they’re filling out an application after the showing. This will tell you whether you’re in the right range. If it turns out that no one is applying for your home, the price could be the problem. Consider lowering it. It’s a good idea to remain flexible. Try not to get too emotionally attached to the amount that you charge. Losing an entire month of rental income is more expensive than lowering your price by $50 per month. As a landlord in Dallas, you have to realize that rental price has a direct impact on the type of tenants you’ll place. Well-qualified tenants know they will be approved at any available property for which they apply. They aren’t going to waste their time with properties that are priced too high. The tenants who are willing to pay more are those who have been rejected by other landlords. They most likely have bad credit, unacceptable income levels, or negative landlord references. Allowing a tenant like that into your home is an unacceptable risk, even if they are willing to pay a monthly rent that’s higher than the market. When you’re pricing your rental property, think about renting it quickly to a good tenant. That’s the best way to protect your property and your ROI. The long term effects of your price are more important than the cash flow your rental price can provide. You won’t earn any income at all if you have to evict a tenant or wait for someone who is willing to pay your price. You’re offering additional services, such as landscaping or internet. Tenant retention is critical, and you don’t want to rush good tenants out of your property with risky price increases. When you’re ready to renew a lease and you want to increase the rent, make sure you can justify your reasons to the tenant, and make sure it’s not an outrageous increase. Good tenants will not want to leave it. But, they will compare the rent they are paying to what other properties are asking. Make your rental increase reasonable, and let the tenants know that the increase is consistent with the market. Consider adding value at renewal time, when you’re raising the rent. Perhaps a free carpet cleaning will make your tenants happy, or you could offer to replace an aging appliance. Always give your tenants plenty of notice before you raise the rent, and keep the lines of communication open. Pricing your rental property is an important part of your success as a Dallas landlord. 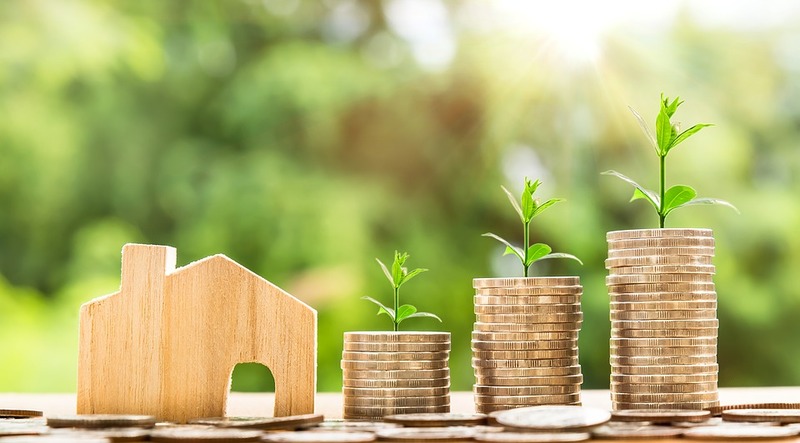 If you need help understanding the market or how to use your price to attract the best tenants, contact us at Specialized Property Management. We’d be happy to help you succeed. https://specializeddallas.com/wp-content/uploads/2018/07/Untitled-design-1.png 800 800 jennifer https://www.specializeddallas.com/wp-content/uploads/2017/12/SPM_REV-orange_Logo.png jennifer2018-07-24 15:45:512018-09-14 12:15:11How Much Should I Charge in Rent for My Dallas Property? 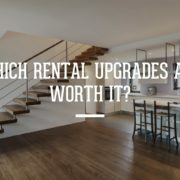 Property Management in Dallas: Upgrades that are Worth it!